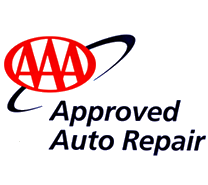 Your local AAA Approved Automotive Repair Center. Since 1980 Maple Grove Auto Service has been providing automotive maintenance, diagnostic and repair services to the northwest suburbs of Maple Grove, Osseo, Brooklyn Park, Champlin and Plymouth. Our goal is to provide customers with excellent customer service, honest diagnostics, no pressure estimates and a quality of service that is second to none. Give us the opportunity to earn your trust and we know you will recognize the value in patronizing your local, independently owned automotive repair facility. Keeping you on the road since 1980. If your vehicle is clunking, scraping, running rough or not running at all our A.S.E. certified technicians are here to diagnose your vehicle’s issue! With a combined 60 years of experience diagnosing and repairing all makes and models we can find your problem and recommend the right repair the first time. Schedule an appointment today and let us get your vehicle back on the road! We have been keeping our customer’s vehicles on the road since 1980. This means performing the manufacturer recommended maintenance services that your vehicle needs. Our technicians are trained to perform factory recommended maintenance on most makes and models. Don’t let overlooked maintenance be the reason behind your next break-down! Request an Estimate now! Maple Grove Auto Service offers wheel and tire services for all makes and models of vehicles. Whether you are looking for a aggressive truck tire or a quiet, long lasting tire for your car we can get the tire you need. We offer no-charge rotate and balances and no charge flat repairs with our tires. We carry the brands you trust like Michelin and BF Goodrich, Request a tire estimate today!